Tokyo Station is a hub for many train lines. And just outside is Marunouchi, one of Japan’s most prominent commercial districts. Among the attractions is Kokyo Gaien National Garden with its abundance of natural features and ancient historical structures. At Nihonbashi, you can see where the traditional Five Routes of the Edo Period start, along with a variety of Important Cultural Properties of Japan. Nihonbashi and Tokyo in general serve as a crossroads where the past and the present meet and continue to develop even today. Designated as an Important Cultural Property of Japan, Tokyo Station was restored to its original form in 2012 so it looks like when it first opened in 1914. The rebuilt outer red brick walls and pure-black natural slate roof bring the sense of history to life in this century-old station building, along with the eagles created in relief and the sculptures of the Japanese zodiac animals at the north and south domes. 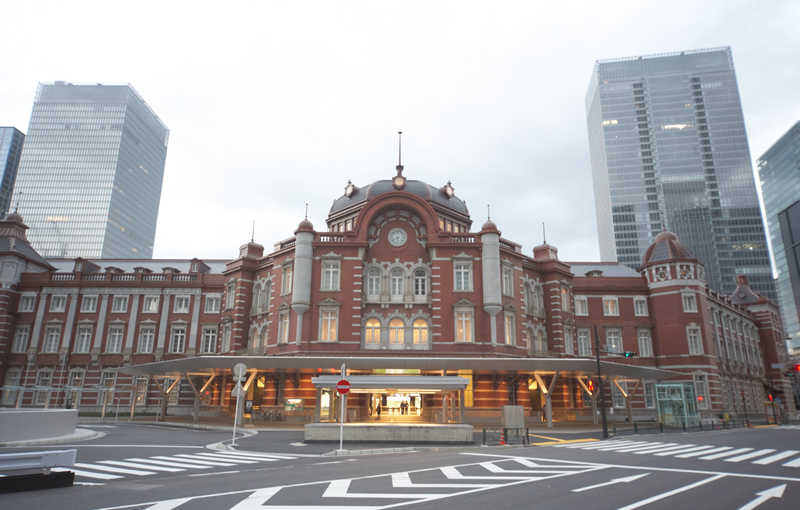 The station building also includes facilities such as a gallery and a health spa, and the guest rooms of the Tokyo Station Hotel are created in classic European style, and some include views of the station. A classic example of a Japanese garden, Kokyo Gaien National Garden has three main sections: the Garden Plaza directly in front of the Imperial Palace, the Kitanomaru Garden area to the north of the Imperial Palace, and 12 moats that surround the Imperial Palace. The park was started in 1949 as a portion of the old Imperial Gardens that were opened to the public. 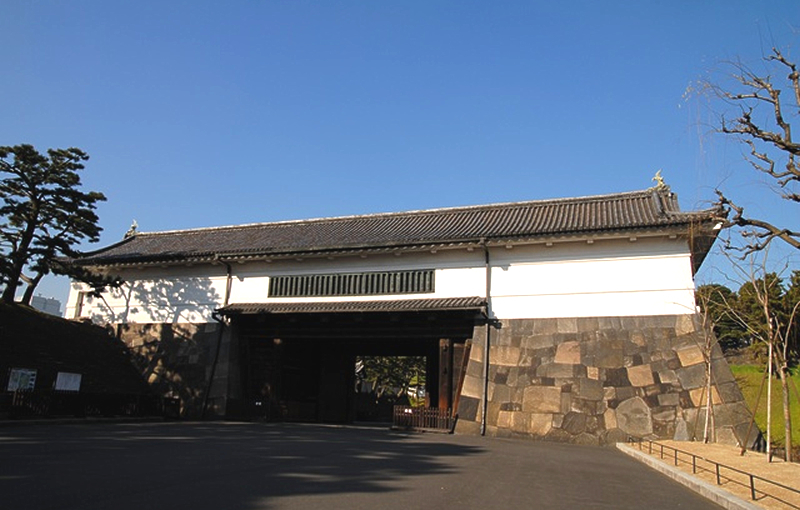 In addition to having many historical structures, including Nijubashi Bridge, Sakurada-mon Gate and Fushimi-yagura (a keep), the special historical landmark of Edo Castle features natural beauty that can be enjoyed through the four seasons, particularly in the Kitanaomaru Garden area. The black pines interspersed in Shiba Park are also spectacular. As the starting point of the Five Routes of Japan, Nihonbashi has a history of more than four centuries. The current stone construction of the bridge was built in 1911 and is an Important Cultural Property of Japan. The starting marker for Japan’s traditional five roads is located in the middle of the bridge. With many famous sightseeing locations in the district, including such Important Cultural Properties of Japan as Nihonbashi Takashimaya that exhibits the aesthetics of Showa Era architecture, and the main office of the Bank of Japan, the first fully stone structure in Japan. 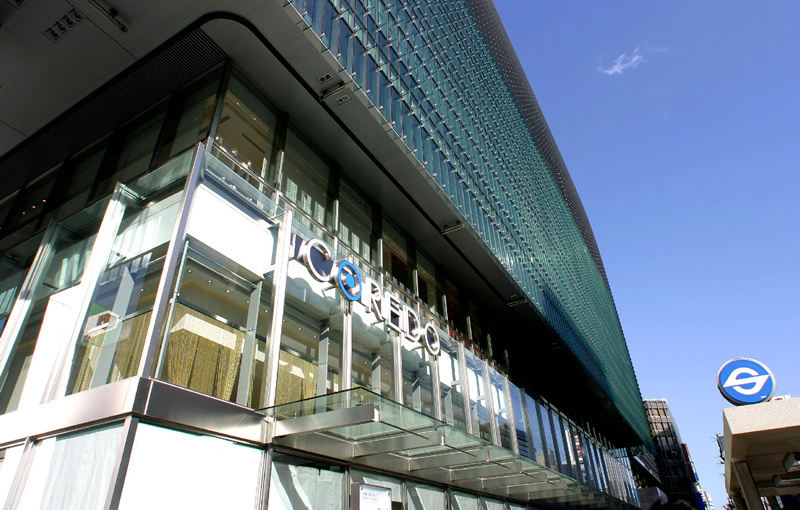 In addition to such traditional buildings, new developments here such as Coredo Nihonbashi have also become popular.